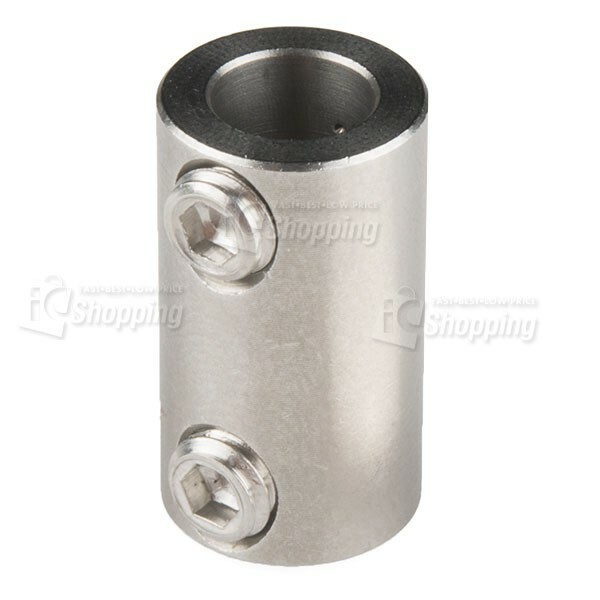 聯軸器 - 1/4" to 3/16"
Description: These stainless steel shaft couplers allow you to couple two size shafts together. They can be used for connecting motor shafts to drive shafts, or two different-sized shafts. 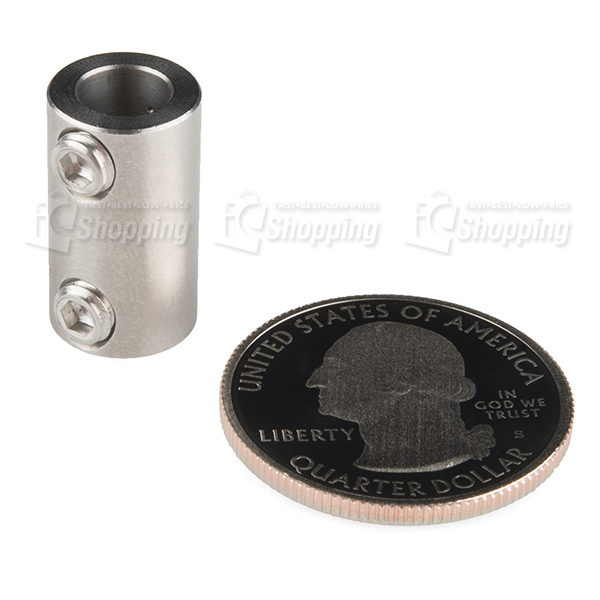 These shaft couplers have a length of 0.75”, a outer diameter of 0.42”, and couple 1/4” to 3/16” shafts.